Did you happen to try the i3-gaps port by Airblader available on github? No, I don't have i3-gaps on my machine and that's because I'd like to use all available space on desktop. If I'd want gaps I'd use Mod+Shift+Space. On Arch I have i3-gaps but the gap it's only 1 pixel. Gaps are good on big screens 24"+, mine it's only 14". Minbari, it is possible to see your conky.conf? You might want to try my port instead, which I maintain for my own use. First I tried to update that port Sensucht94 mentioned but I had no luck then I've discovered your port which I'm using right now. Thanks for the work you've done! Why don't You add it to the official ports tree collection? ILUXA's screenshot has been featured on FreeBSD News. You know where to get the wallpaper. It would nice to see a screenshot that includes x11/xconsole, that isn't started from xdm, to show connected or disconnected devices like printers, like the output on ttyv0. 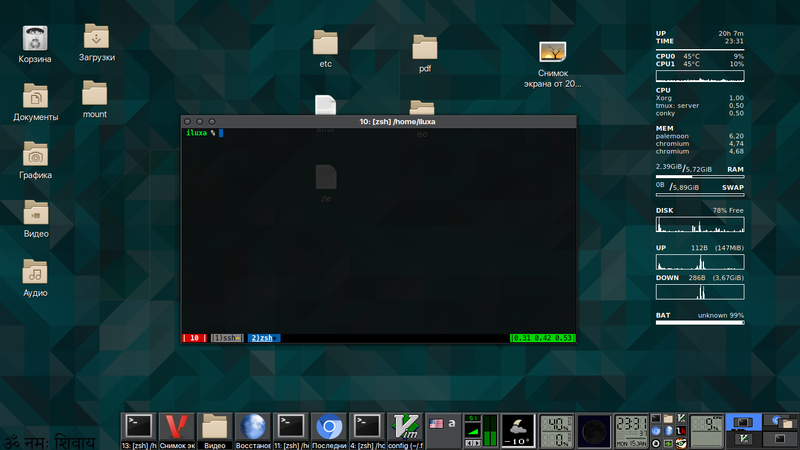 It would be started from any window-manager, and configured to not have borders, like onscreen terminals. Now that I think of it, transparency of it would be a problem. I think two screenshots used elements from mine. TBH, I've never used it before even though it's included in the x11/xorg metaport. But there is plenty of room for it on my desktop and a welcome addition. It would be nice if it didn't have that x11/xterm white BG. NVRM: API mismatch: the client has version 304.306 but this kernel version has 304.304. NVRM: Please make sure that this kernel module and all NVIDIA driver components have the same module. I've found that Configuration files for x programs like xconsole can be moved from /usr/local/share/X11/app-defaults to /usr/local/etc/X11/app-defaults and be adjusted. That broke it for me. I no longer got the "Console log for obake" message , my attempt at changing colors didn't work and I had to kill the process from top to stop it. I think xconsole needs root access, that it gets when started from XDM. That's something graphical programs can't normally get, like when started from .xsession or the desktop's startup script. I put your code by itself in /usr/local/etc/X11/app-defaults/Xconsole, and left /usr/local/share/X11/app-defaults/Xconsole alone. x11/xconsole works properly when set in /usr/local/etc/X11/xdm/Xsetup_0, and not started within the desktop. * edit - Programs started from the desktop use ~/.Xdefaults, as /usr/local/etc/X11/app-defaults breaks programs started from here (also mentioned above). If started from xdm, use only the added lines in /usr/local/etc/X11/app-defaults/. maybe just start xconsole with setuid? I don't know. If I can figure out how to start/use desktop graphical programs (like xconsole or cdburning tools) from the desktop that need root or more permissions, through some /etc/ configuration. From xdm, it works just fine. Yes, it does require root access, but if you use the -daemon flag it will release the terminal it's invoked from and you can continue on. 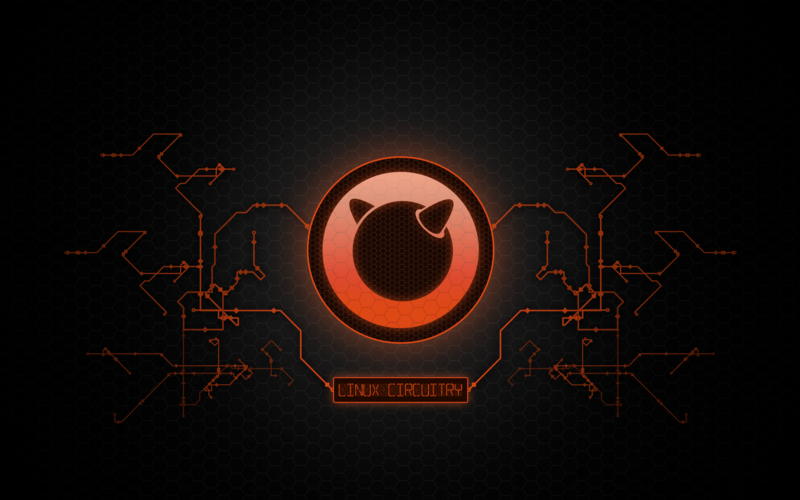 I plan on using it on all my desktops from now on since I like to monitor everything anyway. It tucks under where I have x11-fm/xfe and is at home there. I fixed it on the OpenBSD box I have running ATM by importing the whole FreeBSD /usr/local/share/X11 directory to /etc, as the OpenBSD /etc/X11 directory is empty in its current condition. The "Console log" message, color fix and everything works just as well and it's running now. I always start programs like sysutils/tkdvd from the commandline. It's one of the reasons I keep two terminals open most of the time. maybe a login script for a uid 0 user for an admin shell window, which starts xconsole? It works when I do su in a Konsole and start it from there. x11/xconsole works properly when set in /usr/local/etc/X11/xdm/Xsetup_0, and not started within the desktop.